What Does Code P2098 Mean? When diagnosing a trouble code P0298, I immediately know it means that the powertrain control module (PCM) has detected a signal voltage input from the downstream (post catalyst) oxygen (O2) sensor that indicates the oxygen particle content is too high. Bank 2 is the engine bank that does not contain the number one cylinder. 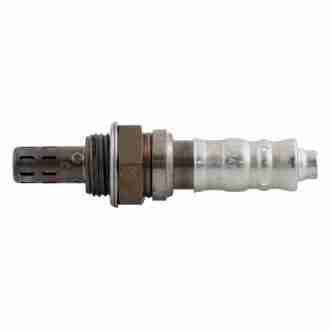 The O2 sensor is constructed using a zirconium dioxide sensing element enclosed within a vented steel housing. Platinum electrodes attach the sensing element to wire leads in the O2 sensor harness connector. The controller area network (CAN) connects the O2 sensor wiring harness to the PCM. Post catalytic converter O2 sensors (for each engine bank) provide the PCM with real-time data regarding the amount of oxygen particles in the engine exhaust as compared to the oxygen content of outside air. This design (when used in conjunction with upstream O2 sensors) is aimed at monitoring the efficiency of the catalytic converter/s. 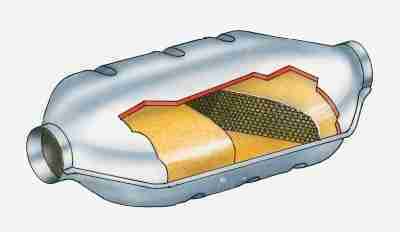 Engine exhaust gases exit the combustion chamber via the exhaust manifold and continue through the catalytic converter. As they flow over the downstream O2 sensor, exhaust gases enter vent holes in the steel housing and proceed across the sensing element. Ambient air is drawn through the wire lead cavities and into a tiny chamber in the middle of the sensor. Ambient air is heated in the chamber, forcing the oxygen ions to produce (energy) voltage. Variations between the number of oxygen ions in the exhaust and the number of oxygen molecules in ambient air (drawn into the O2 sensor) cause the voltage to change. These variations cause the oxygen ions inside the O2 sensor to bounce from one platinum layer to the other, very swiftly and repetitively. Variations in voltage occur as the surging oxygen ions shift between platinum layers. The PCM recognizes these variations in voltage as changes in exhaust oxygen concentration. The PCM can tell whether the engine is running lean (too little fuel) or rich (too much fuel) by scrutinizing these variations in voltage. Voltage signal outputs from the O2 sensor are lower when more oxygen is present in the exhaust (lean condition). Voltage signal outputs are higher when less oxygen is present in the exhaust (rich condition). O2 sensor data is used by the PCM to compute fuel delivery and ignition timing, among other things. If the post catalytic O2 sensor circuit input readings reflect too many oxygen molecules in the exhaust, once the PCM enters closed loop operation, a P2098 code will be stored and a malfunction indicator lamp may be illuminated. What are the common causes of code P2098? What are the symptoms of code P2098? How do you troubleshoot code P2098? A suitable diagnostic scanner, a digital volt ohmmeter (DVOM), and an accurate vehicle information source (such as All Data DIY) will be valuable when diagnosing a code P2098. Prior to diagnosing this code, the engine must be running efficiently. Before attempting to diagnose a code P2098, all misfire codes, throttle position sensor codes, manifold air pressure codes, and mass air flow sensor codes should be addressed. I like to begin my diagnosis with a visual inspection of system wiring harnesses and connectors. With a P2098, I like to carefully examine harnesses that are routed near hot exhaust pipes and manifolds, as well as those that are routed near the jagged edges of cylinder head and exhaust shields. I normally connect the scanner to the diagnostic port, retrieve all stored trouble codes and freeze frame data, and write this information down. It may be helpful later in my diagnosis. If a code P2098 is now reset, start the engine and allow it to reach normal operating temperature. Allow it idle (with the transmission in neutral or park). Use the scanner data stream to observe O2 sensor input data. By narrowing the scope of the data stream to include only pertinent data, you will get a faster data response. Observe the post catalytic converter/downstream O2 sensor signal. The downstream O2 sensor data should reach a mid-line and settle there, if the engine is running efficiently. The post catalyst O2 sensor should not cycle as frequently as pre catalyst sensors (once the PCM has entered closed loop operation). Suspect a defective catalytic converter if the downstream sensor continues to cycle as frequently as the upstream sensor, after the engine is warmed up and the PCM has entered closed loop operation. The DVOM can be used to check voltage and ground signals for the O2 sensor circuit, as well as resistance of the O2 sensor in question. Prior to testing system circuit resistance with the DVOM, disconnect related controllers to prevent damage. None found. Ask a question about P2098.